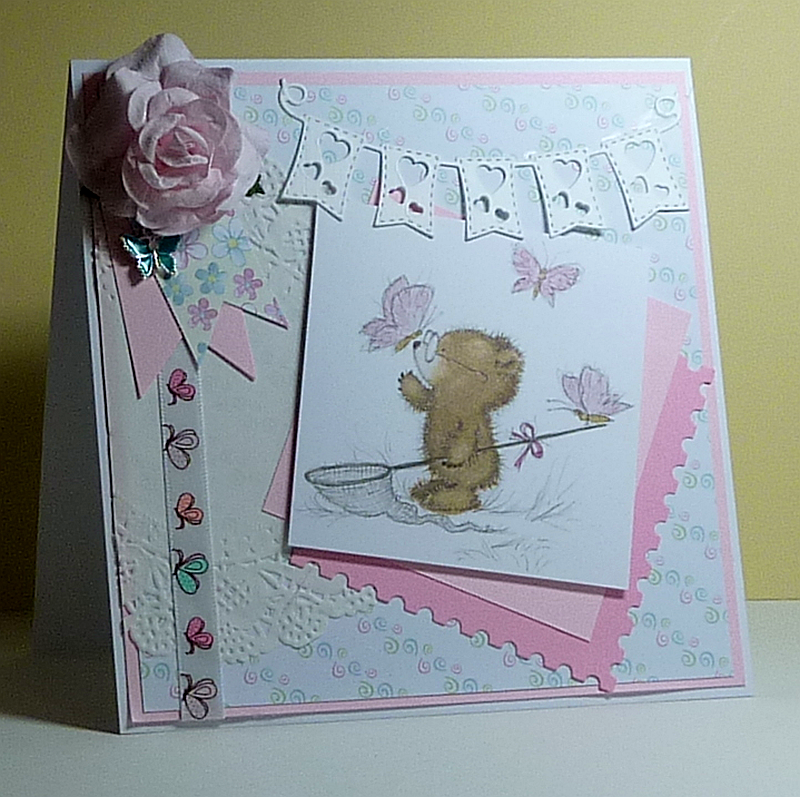 Oh my did we have the nicest three cards submitted for our Modern Whimsy Challenge. I love how everyone has their own take on it. You can see Wendy used the awesome flower die from SU to make her flowers pop. Every challenge Kimbo gives us all such lovely cards. 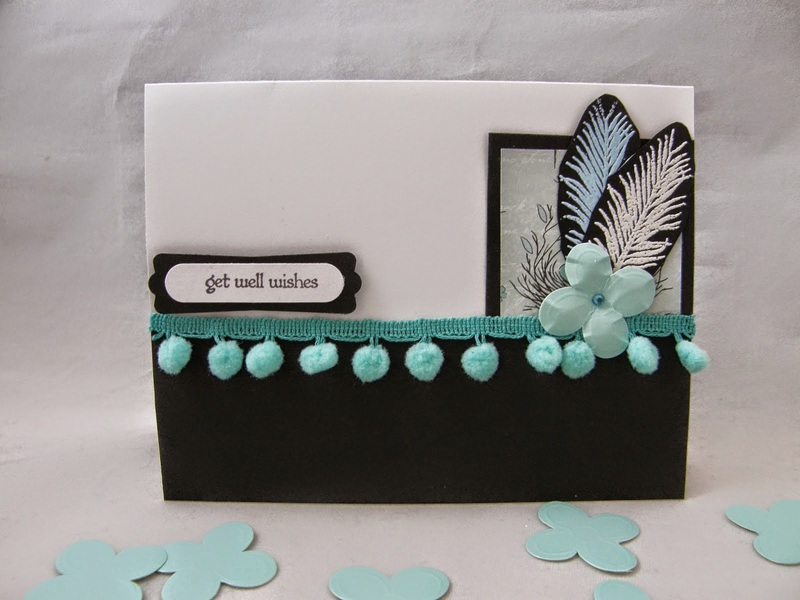 The feathers on this card sure give the modern whimsy look to her card. We also have some additional inspiration cards from our DT. 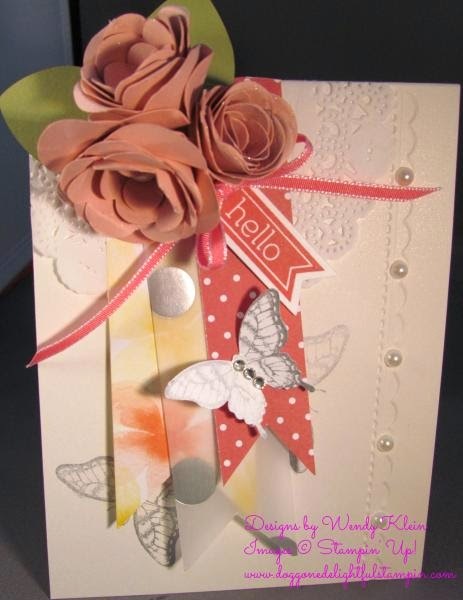 She used layers of pattern papers and triple stickers. This technique looks gorgeous on black cardstock. 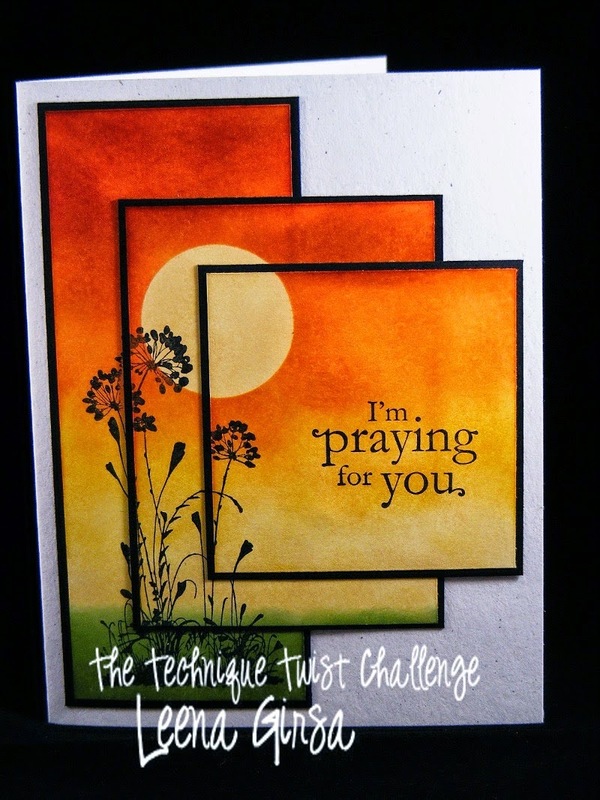 You still have time to submit your card for our Triple Stamping Challenge here.